When you think about it and look at it objectively, the 1855 Classification of the Medoc still maintains merit today at more than 150 years of age! While some people are under the idea that due to the complexity of the Classification, it took quite a while to create. That is not what took place. In fact, once an official classification of Bordeaux wines was requested by the French government, only two weeks were spent creating it! The links on the left side of the page bring you detailed profiles of all Third Growth Bordeaux producers. The pages offer numerous, wine tasting notes, information on the vineyards and winemaking, images, detailed histories and wine buying guides. The 1855 Bordeaux classification came up with a ranking of the best Bordeaux wines in five, unique classes for the red wines from First Growth to Fifth Growth. The wines included were all from Medoc, with the exception of Chateau Haut-Brion, which is located in the Graves appellation and not the Left Bank. At the time of its creation, the consumers of the day argued about the merit of the classification and the chateaux that were included. Discussion took place about the entire classification, not just Third Growth Bordeaux wine. If a reclassification of the Medoc ever took place in modern times, there would be some, if not several changes made. However, on the whole, much of the classification still stands. Some chateau classified as Third Growths would be promoted, most notably Chateau Palmer which would easily be promoted to a Second Growth. Chateau Palmer is an interesting case to look at. If you ask most consumers about the classified status of Chateau Palmer, they would tell you it is a Second Growth. There is good reason for that. 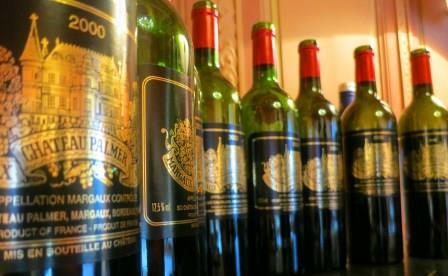 Chateau Palmer belongs to the rare class of Bordeaux wine placed in the category of a Super Second, due to its high quality and price in the marketplace. A Super Second Bordeaux is an unofficial classification awarded to only a few chateaux that rank above the other Second Growths and just below the First Growths. To help you understand the meaning of the term “Third Growth Bordeaux,” you can look at it like this as a general idea. The 1855 Classification placed the top wines of Bordeaux in five different ranking categories. The ranking categories were called Growths. A wine with the ranking of First Growth was considered the best wine in Bordeaux. The top wine of Bordeaux, a First Growth was awarded an A+, a Second Growth is an A-, a Third Growth is a B+, a Fourth Growth is a B and a Fifth Growth is a C+. With the exception of an A+ for the First Growths, the grades may or may not be applicable. But they provide you with a good idea on what the term Third Growth means in relationship to the other Classified Growths in Bordeaux. For the official Classification, chateaux were given their status due to several factors, most importantly, the sales price their wines were reaching in the current marketplace over a long period of time, 1815 to 1855. For the 1855 Classification, eventually 61 chateaux were classified for their red Bordeaux wines. Prices from First Growth to Fifth Growth varied, but not nearly as much as they do today. So you can understand the difference in pricing from Second Growth Bordeaux to Third Growth Bordeaux, in those days a barrel of Second Growth Bordeaux wine traded at an average between 2,500 and 2700 French Francs per barrel. Third Growth Bordeaux routinely sold for between 2,100 and 2,400 French Francs per barrel. Out of the 61 Classified growths from the Medoc given their classification in 1855, 14 were given status as Third Growths. No changes in the category of Third Growth Bordeaux have taken place since the original classification. No changes are almost certainly ever going to take place as well. But if the chateau, INAO and French Government ever got together updated the original classification, you would see a lot of movement in the Third Growth rankings. It is our view that Chateau Palmer would be elevated to at least Second Growth status and perhaps even First Growth! At least 4 chateau would be demoted and a few new estates deserve the level of Third Growth that were ranked higher and lower in the current classification.